Our Public Lands -and the companies that support them. Bottom line – Our Public Lands are under attack. Two areas of our public lands already slated for massive reduction in acreage and protection by the current administration in Washington, D.C., are Bears Ears and Grand Staircase-Escalante National Monuments, both in Utah. And only days ago, Interior Secretary Zinke also requested that President Trump reduce protection for nine more National Monuments. This is unheard of in our country’s history and cannot be left unchallenged. First, each of us as individuals must take an active role in helping to ensure that Our Public Lands are left intact, with no loss of protections, regardless of the threat. Our Public Lands are treasures whose worth cannot be quantified. Fortunately, as individuals, we now have some allies. A growing number of for-profit companies have recently formed under the idea of Purpose over Profit, dedicating a portion of their proceeds to support Our Public Lands in a variety of ways. Over the coming months, we’re going to showcase some of these companies. To honor their efforts in support of our Public Lands, we ask that you take a moment to review their products and make a purchase when you can. Established in 2016, Crown Trails offers a line of headwear, caps and hats, with a focus on our National Scenic Trails. Think Pacific Crest Trail, Arizona Trail, Ice Age Trail, and the John Muir Trail. Their line also includes caps featuring many of our National Parks, think Yellowstone, Yosemite, Rocky Mountain, and Everglades, to name a few. Our National Scenic Trails, like the Appalachian and Pacific Crest Trails, are a vital part of our natural heritage. Established by Congress in 1968, under the National Trails System Act, our National Scenic Trails are just what their name suggests – trails of exploration and adventure through some of our nation’s most stunningly beautiful areas. Currently we now have 11 National Scenic Trails as well as more than 1000 National Recreation Trails and 21 National Historic Trails. Personally, for the past month I’ve worn one of their caps featuring the Arizona Trail, one of our National Scenic Trails. Most recently I captured a photo of the cap while in the Colorado National Monument, just outside Grand Junction, Colorado. While I’ve worn a variety of caps through my years as a guide in the outdoors, I love this particular hat. 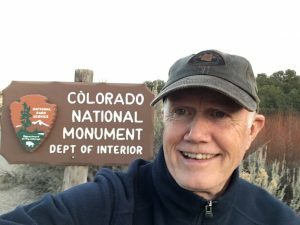 The fit is superb, the hat is sturdy and well made, the color is perfect for my work in the outdoors, think not showing any dirt, and I naturally love anything that features our public lands. In addition to caps, Crown Trails also offers bucket hats, visors, and knit beanies. As it get colder here in the beautiful western slopes of Colorado, my new beanie will get a workout. 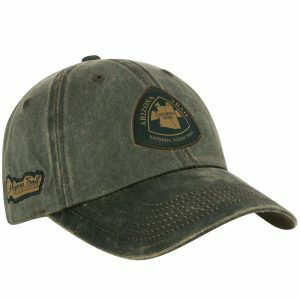 Please check out their site, products, and About Us section, at www.crowntrailsheadwear.com. Also if you have suggestions for other companies who give back to support out Public Lands, we would love to hear from you. Now, get up, lace up those boots, and head to the wild places we all love so dear! How to make your outdoor adventures Tea-riffic!